If you are like so many parents, the family refrigerator is overflowing with great works of art your son or daughter has created through the years. From that first construction paper creation to the latest works of pen and ink, you have carefully preserved their art work – perhaps even framing a few of them here and there. Where can you take your art collection from here? How do you truly preserve those great works of art – not just for now but for the future as well? As your children get older, you will no doubt want to look back on these innocent days and remember those beautiful creations. In just a few short years you may wish you had preserved those artworks more carefully, but you can avoid those regrets by taking a few simple steps right now. Modern technology makes it easier than ever to preserve every wonderful creation your son or daughter comes up with. You can store those wonderful works of art electronically, simply by scanning them and saving them to your computer or cloud storage device. This allows you to create a permanent record of every work of art your child creates – and save it to show to his or her children and grandchildren. You can make a gift of art even more personal and special by loading your favorite scanned artworks on to an electronic photo frame. The great thing about this is that it requires no technical expertise on the part of the recipient. Grandma and grandpa can simply find a suitable spot in their home, hang the picture frame and plug it in. When they do they will be treated to a never-ending display of their grandchild’s artwork. Whether your child is a budding Picasso or hasn’t yet mastered coloring within the lines, you can create a perpetual record of all those artistic attempts. 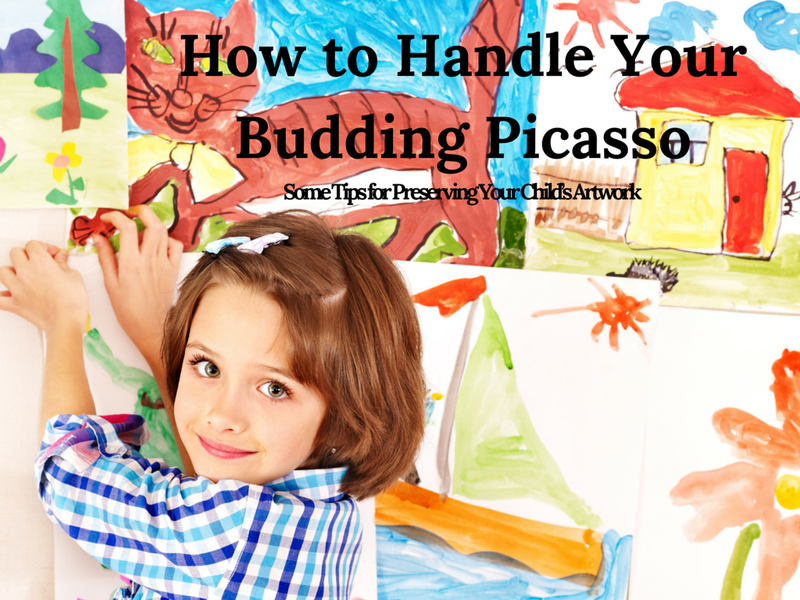 Scanning and preserving artwork is a great way to keep those precious memories fresh. No matter how old your children get, they can always look back on their school days with fondness.